Hello! Its been a while since I've written a foundation review, so to make up for it, I thought I would give you guys two reviews in one post. 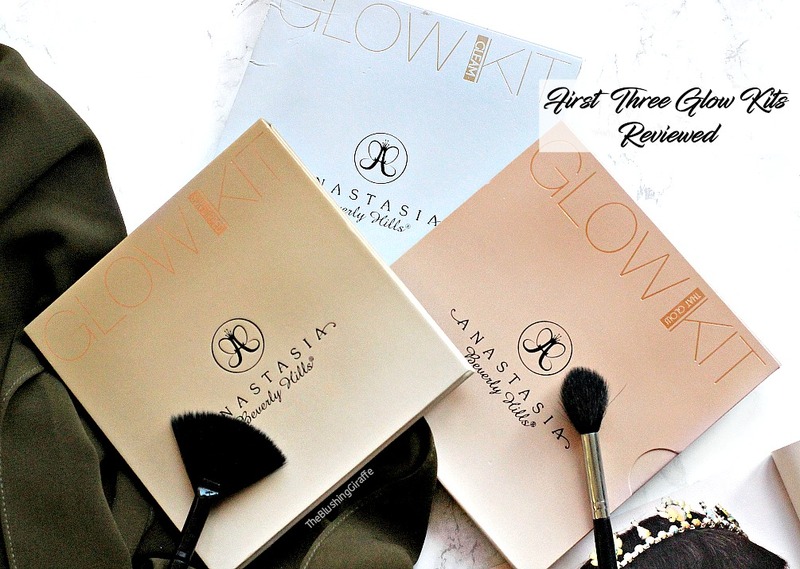 I have owned both of these foundations for quite a while now, but the sheer glow review has been a LOOOONG time coming, because it has been an absolute favourite for over two years! So we'll start with that base and then move on to the All Day Luminous Weightless foundation, with a brief comparison at the end. This is going to be somewhat of a long post, so I recommend grabbing a snack before proceeding. 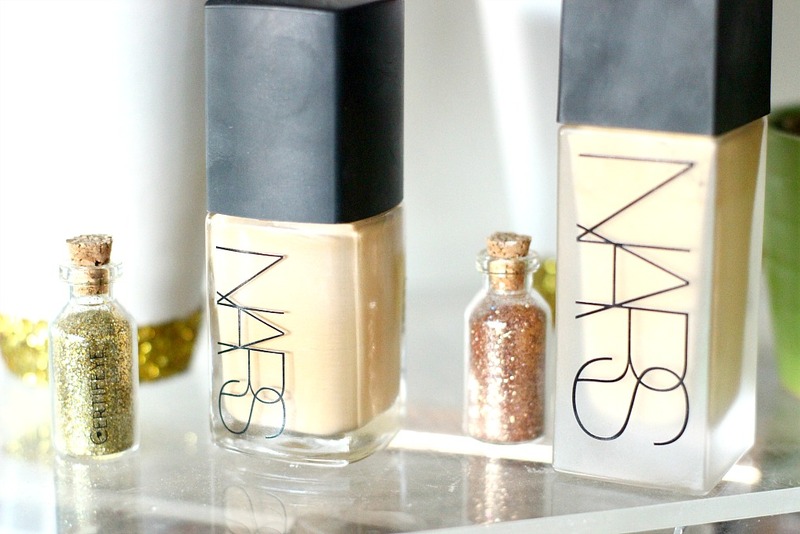 So the NARS Sheer Glow foundation has been a firm favourite of mine for a long long time now. You get 30ml for around £32 but if you're lucky you can might be able to find your shade on ASOS and get it when they have a good 20% off sale on! Sadly right now Stromboli is not on their site, but it is worth checking it out to see if yours is there. I first saw beautycrush, use this base and then Shaanxo and it didn't take me long to pick it up myself! A quick search on my blog has told me that I picked this up at the end of 2014, so it is high time I got myself another bottle haha. Sheer glow has a confusing name and any review you may watch on it, I can almost guarantee the person talking about the base will tell you that it is not a sheer foundation! However what almost everyone seems to miss is that it literally gives you a SHEER GLOW! The finish on the skin is a sheer glow, I'd describe it as satin like and that is why it is so popular amongst so many people. 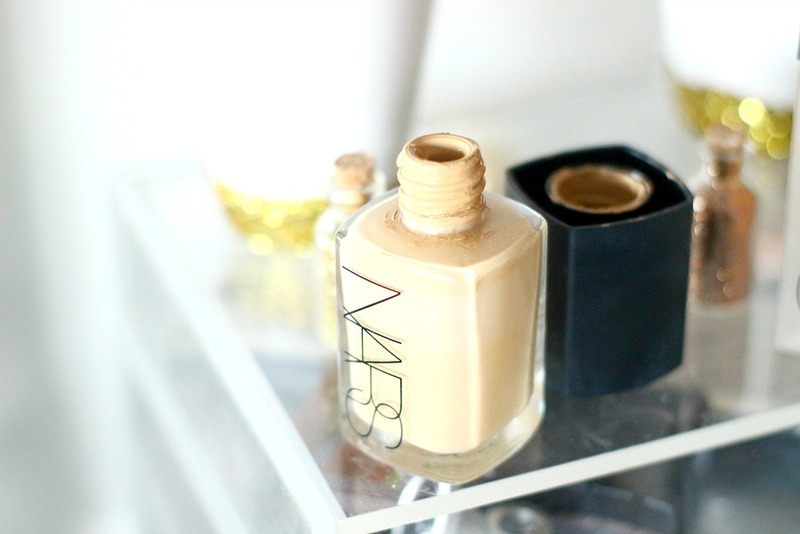 It's not matte, nor is it overly dewy which makes is beautiful on the skin. The coverage is medium but buildable, although I do tend to apply a light layer and then a tiny bit more over the areas that might need them. Sheer glow photographs beautifully, there is no flashback at all and it is a really stunning olive shade for me. I think the main reason why I loved it so much two years ago, was that it was one of the first olive toned foundations I've ever owned. NARS do WOC shades sooo well! Something which the majority of highstreet brands really lack unfortunately. I also adore the medium coverage, which is definitely my comfortzone because all discolouration and redness is beautifully evened out and there really is a gorgeous sheer glow to the skin AND the base holds in place all day without the need for a specific primer of setting spray (of course both of these would increase the longevity even more! But in general I don't find I HAVE to use them in order for it to stay in place). I don't need too much to cover my entire face either. Application wise, I LOVE using a damp beauty blender, to bounce this into the skin. However it also applies nicely with a buffing brush. If I am wearing it for a special occasion, I'll usually set my T-Zone with the Charlotte Tilbury Airbrush flawless powder in medium, which keeps shine away after a couple of hours. However for day to day, I won't get it because it holds well alone. I do sometimes need to touch up after a while though. The only thing I dislike about this base, is the lack of a pump. You can buy one for an extra £3, but I do think thats a big silly and they should have just included a pump. When I use the last few drops of this bottle, I'll be picking a pump up online and repurchasing ASAP, because I really adore this and even though I've purchased a lot of foundations since buying the sheer glow, this one STILL stands the test of time. It's in my top three high end bases and I recommend everyone to try it out, unless you have really really oily skin, because this doesn't have a matte finish. 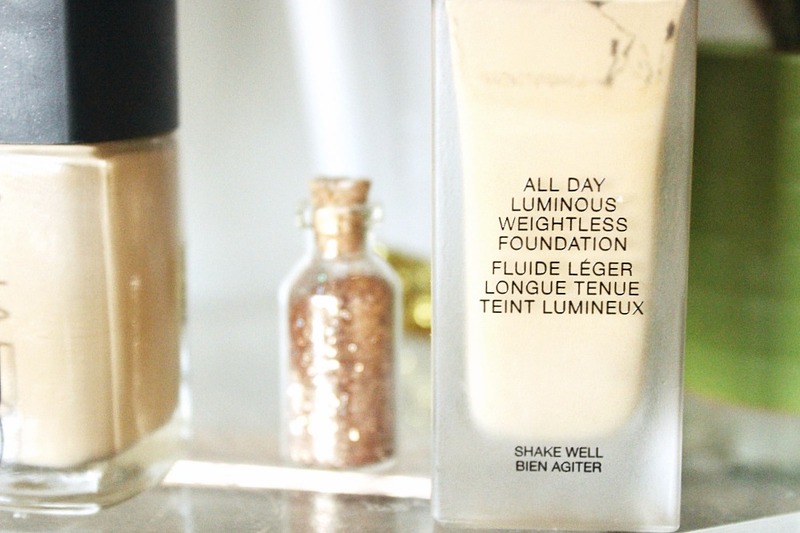 Moving on to Sheer glow's sister, the All day luminous weightless foundation, has one of the longest names ever and you get 30ml for £34. When this foundation was released, so many loved it and were raving about the coverage, however I was so into sheer glow (which I still am as you can tell if you read the above! ), I wasn't tempted to purchase it. However when I saw it on sale on ASOS, I snagged it for around £27 and wanted to give it a good go. First of all the packaging of this is a little more functional than S.G, because hooray it comes with a PUMP! It's a lot taller than sheer glow and has a frosted glass effect, to be honest neither are great for travelling but it is what it is. So ADLW has a very thin liquidy consistency and when I say a little goes a long way, I really do mean that! Often two pumps is too much for my whole face, so I like to go in with one pump using a damp beauty blender and as I bounce the product into my skin I literally see all blemishes disappear. The covergae of this foundation is fantastic, its one of the highest coverage bases I have ever owned and you can really achieve a blank canvas look with this. It also lives up to its weightless name, as the formula is so thin I can hardly feel it on my face, even though its obvious I'm wearing foundation due to the coverage. It claims to give you 16 hours of wear, however I actually find that sheer glow lasts longer on my skin before it starts looks shiny. I typically get about 9 hours of wear with ADLW before my face starts to glow a little too much. Now when I pop the Charlotte Tilbury Airbrush flawless powder in medium on after this time, it looks just as beautiful as it did before, but I have to say it's not as long wearing as I expected. 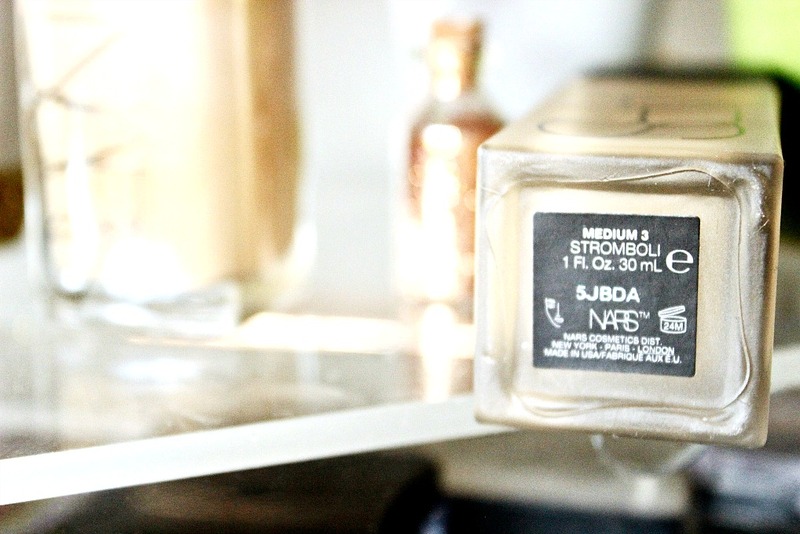 Personally this foundation doesn't oxidise on me, although I've heard it does for others - although it is a tiny bit darker than the sheer glow stromboli, so perhaps keep that in mind if you've tried S.G and want to pick this one up. Personally I like to wear this foundation on bad skin days where I have a lot of blemishes and scars to cover. I also reach for it when I'm going out for a couple of hours and I really want a full coverage base. If it stayed non-shiny for a longer time, I think I'd wear this more often, but because of that and also because of how full coverage it is, I just don't wear it enough. Now on to a little comparison, like I said sheer glow has been my all time favourite and it still is between the two of them. You might like ADLW if: you want a full coverage foundation that doesn't feel heavy on the skin at all. You're looking for a strong olive toned foundation because this really is! You want a base that doesn't flash back, this photographs beautifully and you have normal/combo/slightly oily skin. Repurchase: No, although I love the coverage I don't prefer a full coverage on a regular basis so I don't get enough use out of this. I am planning on mixing it with a few other bases and seeing if I can get the longevity to improve because thats another reason why I'm not so keep. To be honest I'm waiting to use this up so I have an excuse to purchase the Marc Jacobs foundation - another full coverage one that has great reviews! You might like Sheer Glow if: you prefer a medium coverage with a satin finish, you want a base that photographs beautifully and doesn't flash back and if you want a base lasts well on the skin longevity wise! Repurchase: ohhhh yes! 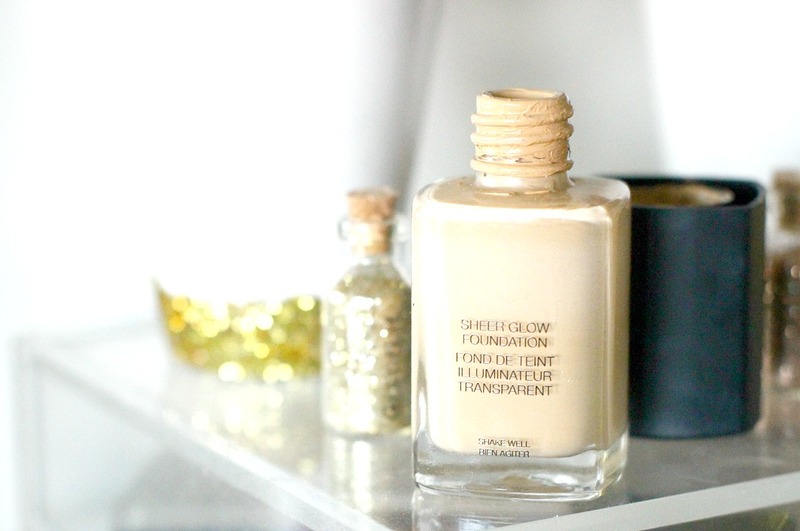 For sure, I really can't fault the foundation itself, its my go-to and I adore it. The main difference to me is the coverage and the lasting time on the skin. For me sheer glow will stay on the skin looking just as beautiful 8 hours later, as when I first applied it. When I check back in the mirror, I rarely need to touch up (although sometimes I do!) and my skin looks the same colour as when I applied it, it's stayed where I put it and I can rely on this to photograph gorgeously. The pump is a bit of an annoyance, but I can honestly look past that because the foundation speaks for itself. I wish the ADLW looked the same a couple of hours later, but it just doesn't appear quite as in tact and lovely as sheer glow does for me. 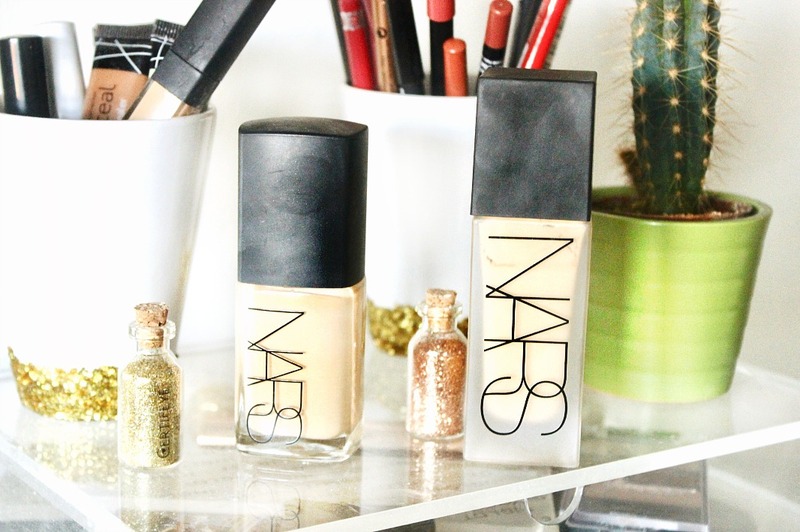 Have you tried either of these foundations? What are your thoughts?